Grohl with it: The Prodigy's new album will be released in 2009. The Prodigy have revealed that they'll release a new album, Invaders Must Die, on 2 March 2009, and that one of the tracks features Dave Grohl on drums. The collaboration, called Run With Wolves, was agreed via email, with Prodigy frontman Liam Howlett telling The NME: "He [Grohl] laid down a week's worth of drums, we got really inspired by it. We did some more work and over the internet it all came together." Howlett has also admitted that The Prodigy's poorly received 2004 album Always Outnumbered, Never Outgunned, marked an "all-time low" for the band, and that the new record will see them making music like they used to. "I've been really inspired by our first two records [Experience and Music for the Jilted Generation] and wanted to combine that old-school equipment with cutting-edge production," he explains. This marks a change of approach for Howlett, who previously expressed his love for Reason. Indeed, he was quoted as saying that "literally everything" on Always Outnumbered, Never Outgunned was written in Propellerhead's software studio. 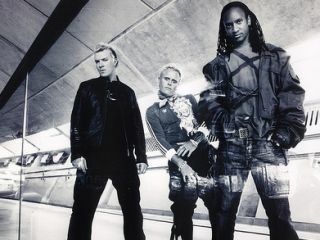 The Prodigy have also announced that they'll be touring UK arenas in April 2009, with Dizzee Rascal lined up to support.